The WASH is DROUGHT's proprietary 'day-of-juicing' program designed to encourage the consumption of high-frequency, living organic fruits and vegetables. Eating well is easier said than done, and most of us weren't raised with a taste for raw kale. 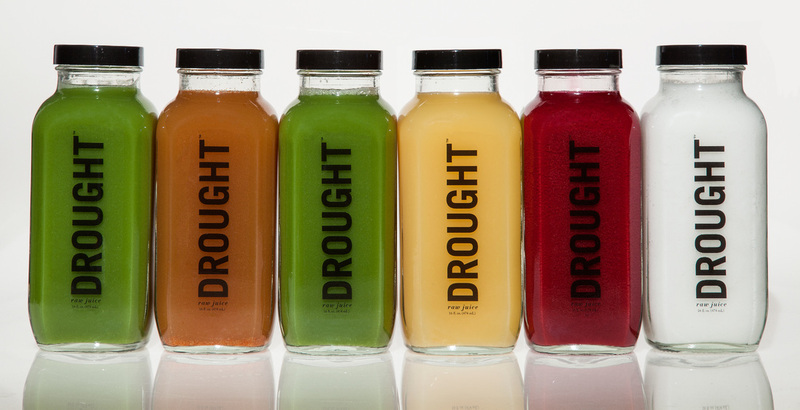 Thankfully, DROUGHT now provides an option for you to acquire and assimilate all of your daily nutrient needs with six raw, organic and unpasteurized juices over the course of one day. The WASH is presented as an option for you to generously consume the vitality of whole foods your body so desperately needs and gives your digestive system a break from decades of non-stop troubleshooting.